I love the David & Goliath stories where the underdog wins. But people forget that Salesforce was one of the first at Guerrilla Marketing with that fake protest over a decode ago. 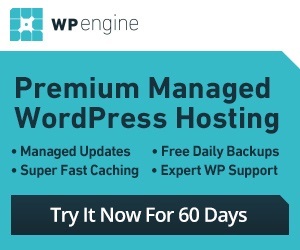 Every year we have one of the “David’s” take advantage of the “Cloud Computing Event of the Year". 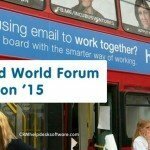 And Dreamforce 2013 is no different with over 130,000 registered people. 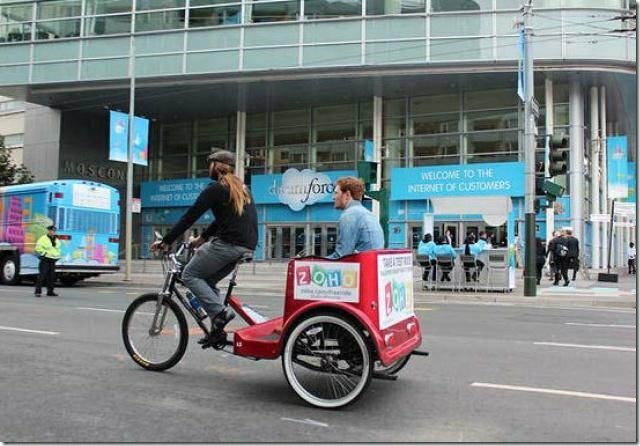 This year, we had Zoho.com using 3 wheeled pedicabs and food-trucks showing the banner, “Take a test ride with Zoho, Salesforce doesn’t have to know” slogan. 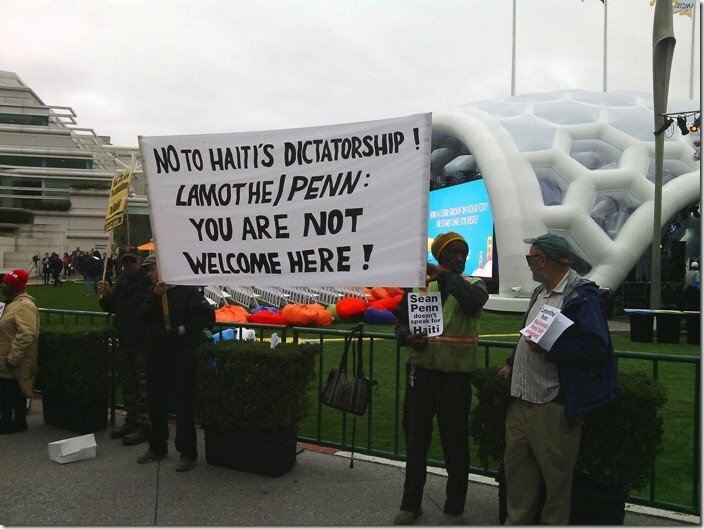 But the press was more interested in talking about the Walmart protesters during Yahoo’s Marissa Mayer keynote. In 2011, Microsoft launched a new Dynamics CRM Online promotional deal titled “Cloud CRM for Less” that targeted Salesforce, SAP and Oracle. The timing was impeccable as the promotion started the day before Dreamforce. Microsoft CRM Online was priced at $44 per user per month and you did NOT have to be an existing customer of Salesforce, SAP and Oracle. 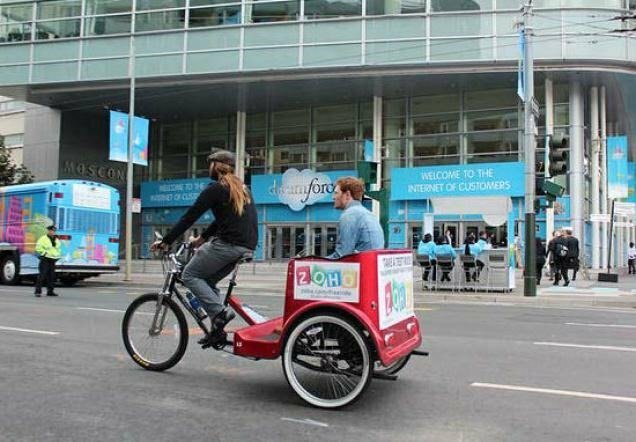 In 2010, Salesforce bought out all the billboards in the downtown area, everything from newspaper kiosks to skyscraper ads, but they left one corner untouched, and that is at the coveted Moscone center, ironically site of Dreamforce! 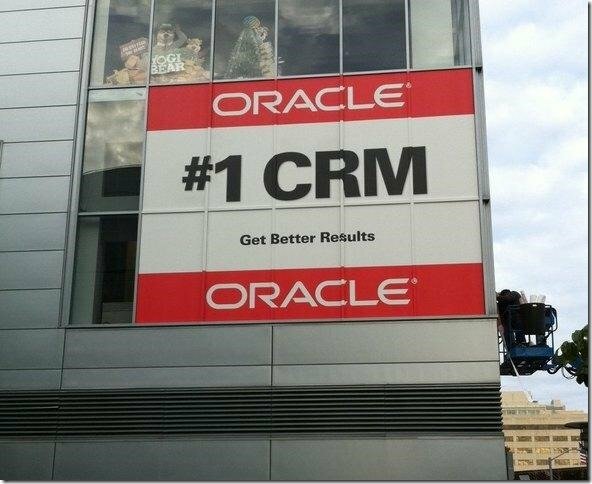 Oracle took advantage of this with their standard Oracle #1 CRM red, black and white banner on the corner of the building. Microsoft had people on Segways to spread the Microsoft Dynamics and their $200 per user incentives to switch from Salesforce.com or Oracle, for that matter. 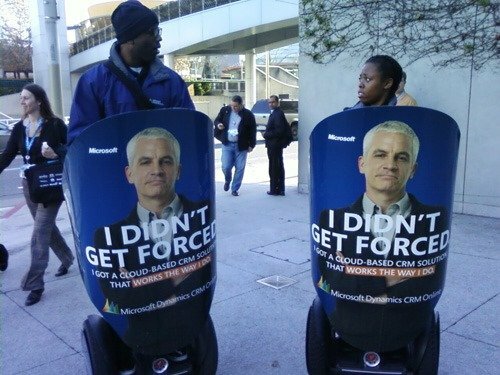 The slogan on the Segways had “I didn’t get Forced”. Microsoft also ran a full page ad in The Wall Street Journal. The timing was impeccable. They even had the classic red Salvation Army sign with the words “Salvation from Salesforce”. 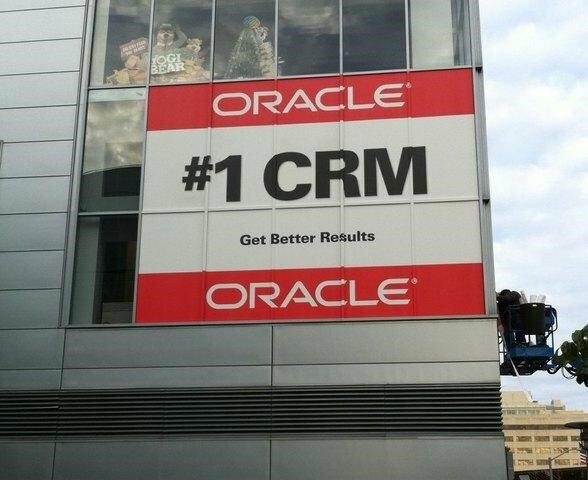 SugarCRM was offering free migration to anyone switching to from Salesforce.com to SugarCRM, plus guaranteeing 50% in savings. In 2009, I was handed a book shortly after parking my car at the Moscone garage in the early morning on Day 1 of Dreamforce. 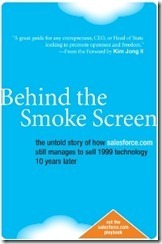 SugarCRM created 1000 copies of a book titled “Behind the Smoke Screen: The Untold Story of How Salesforce.com Still Manages to Sell 1999 Technology 10 years later”. They also handed out 5,000 flyers. It had the same blue cloud cover, and the same thickness, but it was full of blank pages, despite 6 very short chapters. And I mean very short. Basically, the book slammed Salesforce for using proprietary code (SugarCRM is open source) and old Oracle database software (SugarCRM runs on MySQL, which ironically is now owned by Oracle).